South East Field Days 2015 | SA Volunteer Fire Fighters Museum Inc. 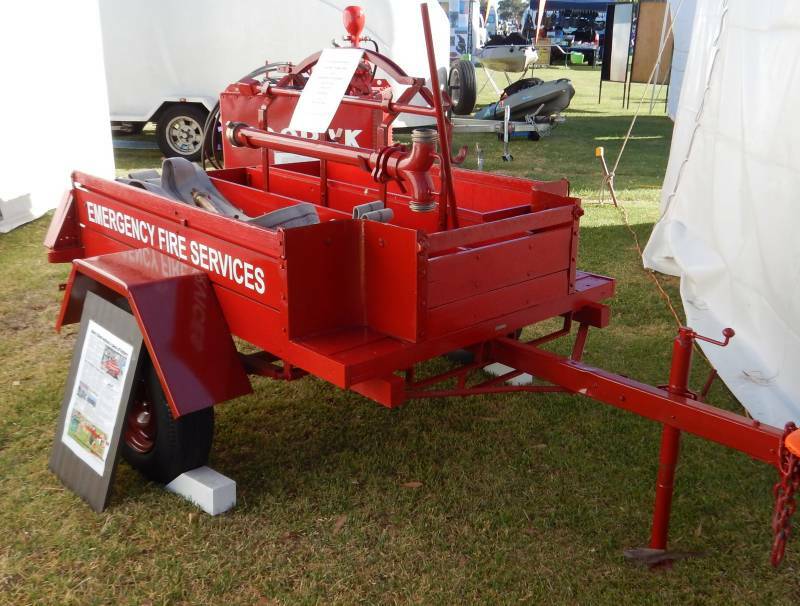 The SA Volunteer Fire Fighters Museum as at this years South East Field Days at Lucindale, South Australia on Friday 20th and Saturday 21st March 2015. A large display of memorabilia, photographs and equipment were on display along with the CFS display and attracted a large number of CFS Members and community members alike. The recently restored 1950s competition and training trailer by the Tatiara Men’s Shed was on show, and was originally used as a training tool and first allocated in the Bordertown Emergency Fire Service but was transferred to Naracoorte in the 1970s.